I listened to a video of How School Systems Improve, by Sir Michael Barber presenting at Harvard School of Education. While Barber was speaking to education policy makers, I thought that several of his points had specific application to school leadership teams designing their School Improvement Plans as well as to instructional coaches considering how to best impact student success through their work. Barber described the need for policy to adjust as a system improves. The strategies that are implemented to move a fair system to a good one won’t move a good one to a great one. If systems stay with the strategy that caused the initial improvement, it will plateau. Poor to fair— It’s all about the basics, such as seeing that students are in school and learning basic literacy and numeracy content. Fair to Good-— Here the focus is on the foundation: building the quality of teachers, facilities, resources. Good to great— This requires moving from individual teacher abilities to the collaborative working of a school. Great to excellent-— This move is based on getting really good teachers to continuously improve through innovation that actually improves the system itself. As a school leadership team how would you describe where your focus should be in the coming year? Chances are you may be addressing strategies at different levels as you consider different student achievement levels. As an elementary school team you might be looking at moving student achievement in math and reading from good to great, while your science achievement which has been ignored for too long needs to focus on moving from fair to good. Your plan may be to approach reading and math improvement in PLCs where teachers work together, using assessments to increase personalization of instruction to students’ needs, perhaps in cross-classroom groupings. Your start at improving science may focus more on an in depth review of science standards, resources, and observation of science instruction. The information gathered would lead to planning for professional development that builds the foundation for science instruction. As an instructional coach you might use this same matching of strategy to teachers’ levels of development. I am often pushing that a coach’s “job” (role) needs to be defined at the building level rather than the district, as building needs differ. Within the building, a teacher struggling to get acceptable learning outcomes should be experiencing a different coaching approach from the teacher focusing on great to excellent where innovation is a focus. Key point to communicate is that coaching is important to both of these teachers. Too often coaching is seen as a provision for teachers trying to become “good.” In reality coaching teachers from good to great to excellent is a most challenging task. Coaching innovation is very different from coaching survival. Barber also examines the roles of accountability and professional development (pressure and support) as you move through the stages from poor to excellent. The combination of the two is important but the importance of each change as you move through the stages. He suggest that to move from poor to fair there is an equal (50/50) focus on accountability and professional development but the move from great to excellent is more likely 20% focus on accountability and 80% focus on development. Consider a secondary school that has a school goal of gaining a substantial increase in achievement for its English Language Learners. A starting point might be to decide what are student behaviors and experiences that are needed for ELL students to progress. A survey of staff might identify teachers who are comfortable knowing what teacher actions are needed to gain the student experiences. 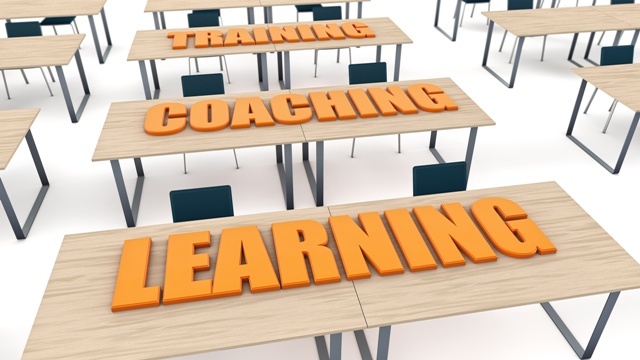 PD sessions can be offered with coaching opportunities to build teachers’ skills and options. Administration can request that all teachers invite an observer to a class where they are specifically focused on scaffolding for the ELLs. Teacher leaders facilitating PLCs can track data on the progress of ELLs and make continuous decisions on how teacher learning is impacting student achievement: reinforcing strategies that are working, redesigning where improvement is insufficient, and innovating breakthrough learning. How will your leadership team decide where the accountability needs to be higher? For whom? What professional development and coaching is needed? How will you implement differences for teachers who are at different levels?